Party over almost everyone have headed back to the UK. 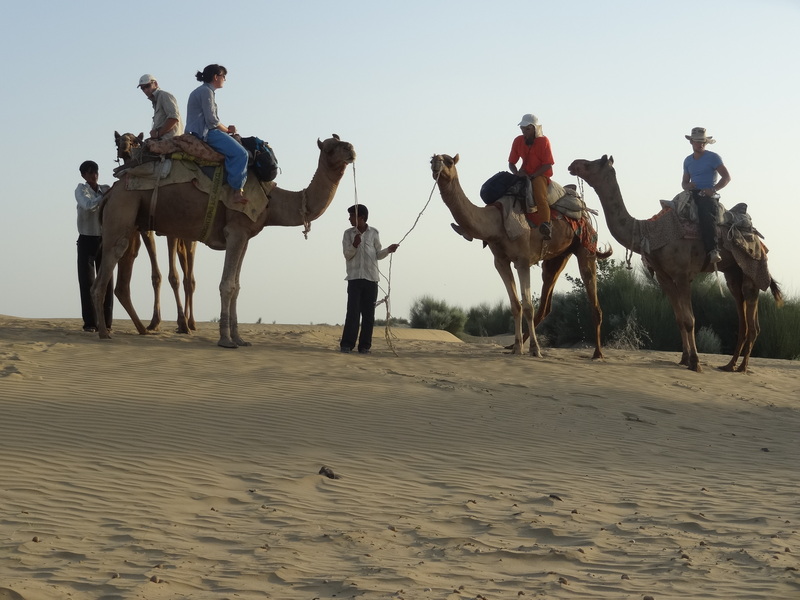 Laura and I have booked up a camel ride into the desert with some fellow rickshawers, Michael, Will and Dan. 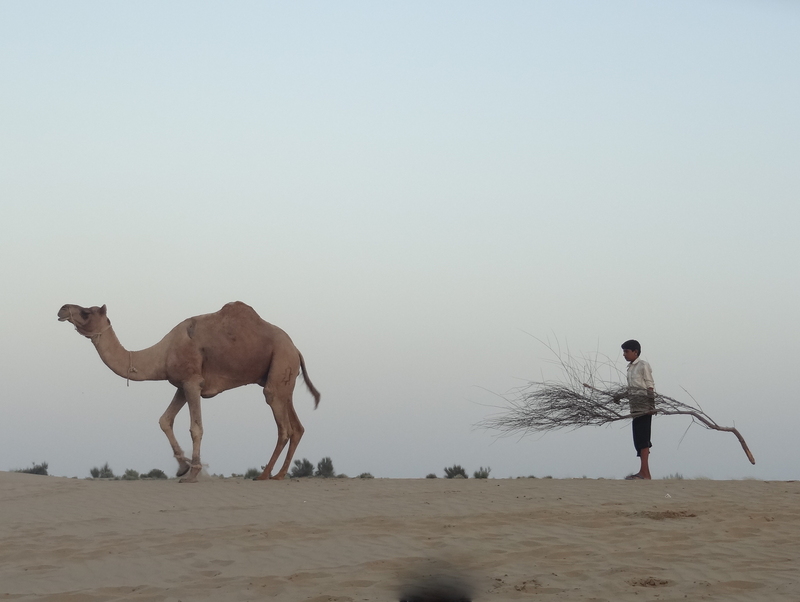 Our guide picks us up and we head out of Jaiselmere to where the camels wait. They look tame enough, I guess we are the next of hundreds of tourists they have repeated the trip for. Nonetheless for us it is the first time, we soon feel like Lawrence of Arabia (ok wrong continent, but no other references).. it’s a lolloping rock through the dunes until the guides halt us at our campsite for the night as the light starts to close in. 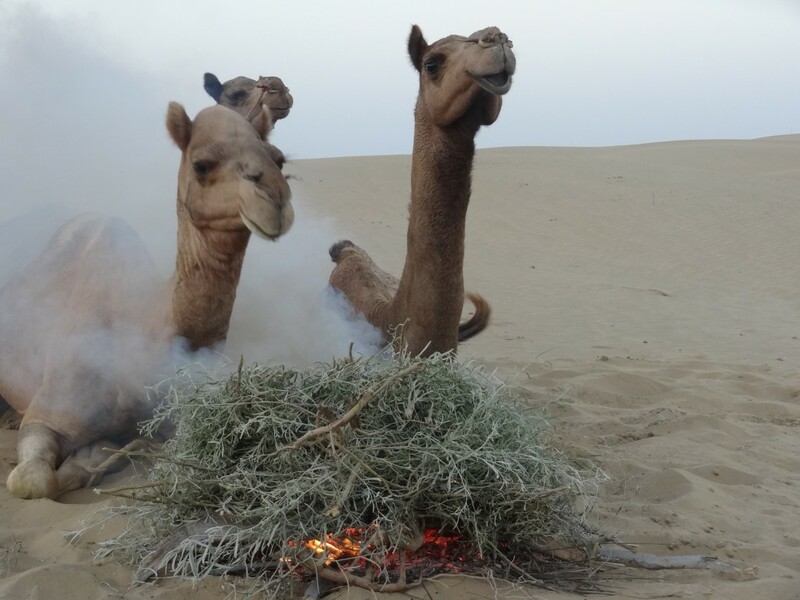 Our cooking campfire is started and the camels get their own, an aromatic and very smokey brush which the camels almost sit on top of; the purpose of which is to relieve them from the flies. 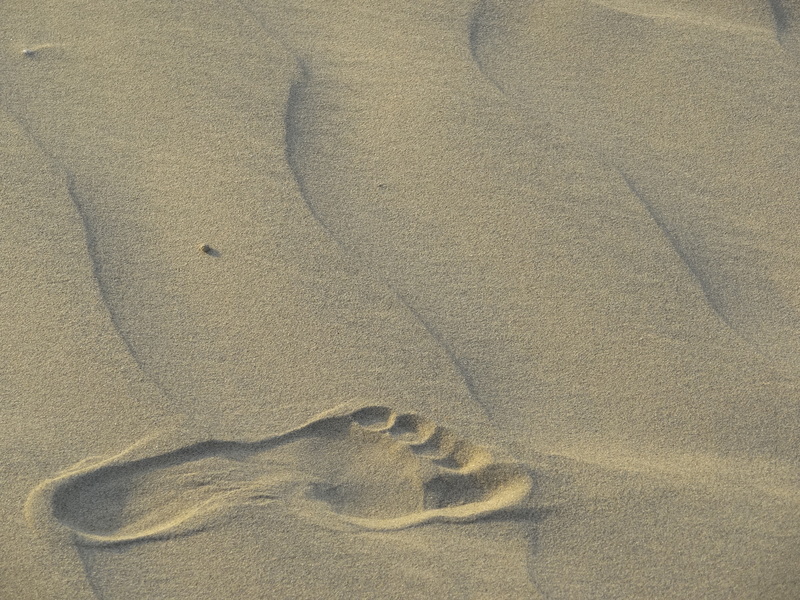 And it’s another opportunity for me to capture a perfect nelipot of a footprint. Wandering off across the dunes away from the conversation. Breathing. Darkness falls. Bellies full of from the no-name pot dinner of stew (goat?) and chapati. Hash biscuits i bought in town for dessert. Laura and the guys all too clean living, well behaved to try. I lay back, glued to the dunes, warm desert air, enjoy them on my own… mind swirling the stars so close I can touch them.